Cost: $20. Tickets available through Ticketfly. Those who stop by the Bartlett on Thursday can say “I was there when” after two performances make their Spokane debut. First up is local quartet Tango Volcado. True, the Argentine tango quartet has lit up stages around town for the past several years, but Thursday’s performance will mark its first with pianist Jody Graves, who joins the group after the death of pianist Kendall Feeney from cancer in March. The group took Feeney’s passing hard and even discussed whether they should throw in the towel but eventually decided the best way to honor her memory was to carry on. Bartell and violinist Tana Bachman-Bland, who are also joined by double bass player Eugene Jablonsky in Tango Volcado, said Graves was Feeney’s first choice to replace her in the group. The pair had met at Eastern Washington University and quickly became close friends. “They’re kindred spirits for sure,” Bachman-Bland said. The quartet started rehearsing with Graves in July. The new quartet was originally set to make its debut at a concert at Bachman-Bland’s home, but the plan fell through. At this performance, Bachman-Bland said Tango Volcado will perform a song that involves audience participation and a traditional song that is typically played at the end of the night. After a brief intermission, Bachman-Bland will return to the stage to help perform the Washington premiere of “Prairie Songs: Remembering Ántonia,” which was composed by Whitworth University professor Brent Edstrom and also features tenor Scott Miller. A couple of years ago, Miller, a fellow professor at Whitworth, approached Edstrom about creating a new work after talking with Elizabeth Burke of the University of Nebraska-Lincoln’s Cather Project, which promotes appreciation of the work of author Willa Cather. Edstrom’s proposal to create a song cycle based on Cather’s work was approved, and he spent about a year researching the author and her writing. He originally thought about writing a song for each novel, but quickly honed in on “My Ántonia,” which celebrates its 100th birthday this year. He also spent time at the Cather Foundation in Red Cloud, Nebraska, where Cather grew up. Edstrom, for example, keyed in on the phrase “dome of heaven,” and wrote a song of the same name describing the beauty of the prairie. He wrote “Enduring Love” from phrases in the last chapter of “My Ántonia,” in which Jim, the novel’s narrative voice, visits Antonia after many years apart. “My mantra throughout the project has been to honor Ms. Cather by writing something she would like while maintaining a rich compositional palette that embraces some of the sounds and rhythms associated with 21st century art music,” Edstrom wrote in the show program. When Edstrom approached Bachman-Bland about the project, she was initially unsure of what he was talking about, but after quickly reading “My Ántonia,” she jumped at the chance to be part of the project. Edstrom, Miller and Bachman-Bland began rehearsing about four months before the world premiere of “Prairie Songs: Remembering Ántonia” a year ago at the University of Nebraska-Lincoln. Since then, the trio has also performed the song cycle in Omaha, Wisconsin and at a writer’s conference in Bordeaux, France. After this show, Edstrom, Miller and Bachman-Bland will perform “Prairie Songs: Remembering Ántonia” in Red Cloud for the Cather Foundation. The trio finished recording the song cycle last week and expect to release the CD in the coming months. 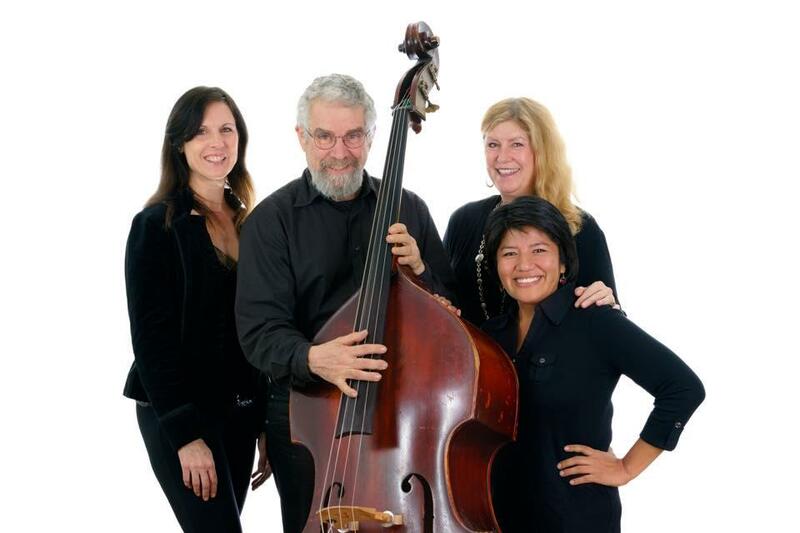 Tango Volcado, too, is excited about its future plans, which the quartet hopes will include longer concerts, building its audience and possibly touring, all while honoring Feeney’s memory. Her presence will be felt at this show, as Feeney’s husband Tony Flinn will read excerpts from “My Ántonia” to give the audience an idea of what the novel is about. Tango Volcado and the musicians behind “Prairie Songs: Remembering Ántonia” are excited to hear the other group’s performance and are grateful to be in a place like Spokane that is receptive to such new ideas.